I have been wanting to meet her ever since I received my first Tamilnadu Govt. State Award from her for Kannathil Muthamittaal say about 4 years ago. I had wanted to go and thank her personally. When she handed it to me, I remember that she said I had a wonderful voice and that I sing very well. And at that time I was a total goner. Never thought she would have the time to listen to me and be so gracious to tell me that she actually liked the way I sing. And then, one of the best concerts of my life was in front of an august audience at Nehru Indoor Stadium, Chennai. More so because she was seated in the first row. It was a show hosted by Kollywood to thank and honour her 3 V's - Veerappan, Veeranam and Video Piracy. I have a feeling there was one more thing in addition to these two, but my memory fails me. (Thanks to Manaswini, I know now that it was for Veeranam, Veerappan and Video Piracy. I had a feeling it had something to do with three "V"-s and victory. Veeranam slipped my mind. )I remember singing just the first few lines of Kannathil Muthamittaal in front of her. I had no clue until the evening prior to the D-Day that I was to sing and there was a very short rehearsal at Rahman sir's place. He directed me to sing the Alaap and then start the song. I still remember the moment when the entire audience applauded almost at the same moment when I started the lines after the alaap. Almost as if someone had said "Action" or something. And I remember the way she smiled when I sang Oru Deivam and the way she clapped. I sent a few letters over all these days and somehow things didn't really move. I have been an admirer for her sheer gumption. For her grit and determination. Remember watching her Rendezvous with Simi Garewal several years ago. I loved that interview. I have heard of the struggles that she has gone through and idolized her. Finally the call came from her office a couple of days ago and I met her on Wednesday. We walked in after being ushered into the premises, and to her chamber and was awestruck by her aura. She has this brilliant glow about her. It was like whoah. She looks very regal. And also noticed that she is super beautiful. I was stunned and the first words I said was like wow or cool or something like that. Then the next thing that crossed me mind - countless pictures and videos of her all these days ...no one has ever done any justice or has been able to capture her magic or her presence. Or let me say, that I am yet to come across a picture that has. It took me a while to find my words in my momentarily awed state and then she spoke to me for a while asking how I have been, how many songs I have sung, what I have been singing and what I intend to do. She also told me that I hardly sound like an indigenous singer. I think I have never giggled and smiled so much as that evening with a person I was meeting for the first time. I am quite sure I babbled a lot. And she was looking amused. I don't know whether I impressed her at all. She spoke to mom for a while as well on my mom's work. I have heard lots of artistes mentioning that she is highly gracious and kind and I was able to experience her mehmaan nawaazi, first hand. It was one of the loveliest times I have had and she really made us feel at ease. Loved her English, the way she spoke. She was hyper cool. I am an even bigger fan of hers now. The thing is, once mom and I stepped out, there was clicking and all that. We got into our car and drove about 20 meters, a photographer asked us to stop and asked why we had come and what had been spoken. And took pictures. Someone even asked whether I was getting married and whether that was the reason. Now why is the marriage thing assumed? Of all things? I was wondering what can be so special about a singer meeting her. Its not as if I am some super important person or something and yes, we had to explain in detail and reluctantly allow some more pictures to be taken. Was wondering what was going to be written. This was a totally new experience, something I have never come across before. This sure will be one of most memorable evenings of my life. Its not everyday that someone like me gets to spend some time with her one on one. And when the memory of the meeting crosses my mind, all I can do is grin. She is totally wow. P.S. : I don't have a picture of that meeting though. If it was magical for you then, it is the same for me now. Yes, your joy gets contagious. Oh great, Thanks for sharing your happy moments. I pray the almighty that you should get more more awards. Good Chinmayi! Thats one advantage of being a media person (or whatever you can be called as)- Getting to meet people who not everyone will get a reach to! I have something similar to say..ever since I got to hear U sing 'yemini' n 'singaravelane' and thereafter all the other songs that u have sung..I feel I shud. meet U sometime n talk to you and get the same experience U got just recently. Wow;;;super cool that you met my favourite woman from my childhood...All through school, I was a super fan of hers. Must have been amazing for you to have a tete-a-tete with her....Great going chinmayee...can you post a pic??? It was Veerappan, Veeranam and video piracy. 2009 is definitely taking you to greater heights. Though you deserve every moment of happiness you experience, there is a time designed for it and it is already there...:) God bless you. i have heard similar thing s abt mme Jayalalitha. that she is genuinemy concerned and interested even in the average joe , does her officework meticulously , is very devoted , and pious. I think you are very lucky to have met her. its the middle elements that have tarnished her image.she is a great lady , there s not an iota of doubt. I have seen your meeting clipping aired for few seconds yesterday in Jaya TV and guessed a blog post for sure. Even in those few seconds I saw you smiling and giggle and could understand your ease meeting a strong lady. As you said, We must admire her for her grit and determination. Regarding reporters, photos and asking you, Are you getting married?. Don’t be surprised if you see in papers “Chinmayi joined AIADMK and expected to canvas for AIADMK in the future election. Very lucky to speak with a awesome lady.She is a great inspiration to all.wow! Saw u in Jaya tv news akka,great going..."Akka ready for Rivera? hey good to know that u got a chance to meet with Jayalalitha Mam..
Before few yrs , during an election campaign there was a traffic jam and we had to wait till JJ Mam crossed the route..she got down near the place where we were standing to talk to the public...I was awestruck by her Personality...though i was not interested much in politics.....I just cudnt move from eyes from her.....though a long time back...those are still in my memories..
Shez definitely one hell of a lady.. the way she stood up and took over a party boldly - has to have a lot of guts to do it. Definitely a role model for women.. 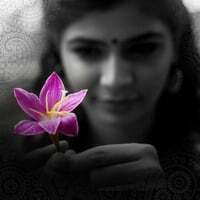 Your post is quite picturesque.. Can really visualize it very well..
Looks like Chinmayi is moving to Jaya TV !! Good Luck !!! Thank you soo much for expanding my admiration for "Amma"... BTW you deserve this Ms.Chinmayee.. Goodluck.. wow...I only wished I could meet her some day !! Her sovereignty was definitely like the golden age of imperial splendour ! I simply love her distinctive and intangible caliber ! aah ! You met not only your Idol, also ours and millions of Tamils out there. Cho sir feels that she has it in her to take much higher positions even at the center. Very nice to hear that you have met Jayalalitha Madam. Thank u very much for sharing it with us. This is Swamy aka kitcha. I've also e-mailed you. Don't know if you got a chance to see it.